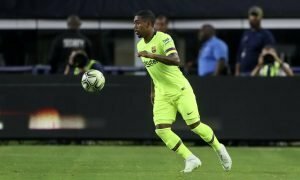 European giants join hunt for Arsenal's International ace | The Transfer Tavern | Where football transfer rumours fly or die! Arsenal fans in the Transfer Tavern are in a positive mood after their advancement to the FA Cup fourth round and are passing time this afternoon by discussing the latest transfer rumours. With incoming signings likely to be at a premium, a large chunk of the discussion has been regarding outgoing deals after Talksport stated Roma and Bayer Leverkusen have joined the hunt for Mathieu Debuchy. Debuchy wants to leave Arsenal this month in search of more regular first-team football, as he aims to force his way back into Laurent Blanc’s squad for France’s European Championship campaign at the end of the season. 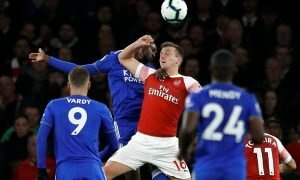 Arsene Wenger has admitted the veteran full-back could leave this month, with Aston Villa and Debuchy’s former side Lille also keen on his signature. Gooners in the bar have accepted this exit will go ahead, although they’re concerned that it will decrease the depth within their defensive ranks. Arsenal fans, should Debuchy be allowed to leave? Let us know in the comments below!